I have a love-hate relationship with docks. On the one hand, they offer me a place to keep my devices, a home, designating where my fancy smart toy resides in an otherwise chaotic world. I may change which pocket, hand, spot on the coffee table or place in my heart that a phone belongs, but a dock is always a constant. When night comes, the dock is its resting place. On the other hand, paying $50 or more for a dock that I can only use with one phone is not something I'm a fan of. 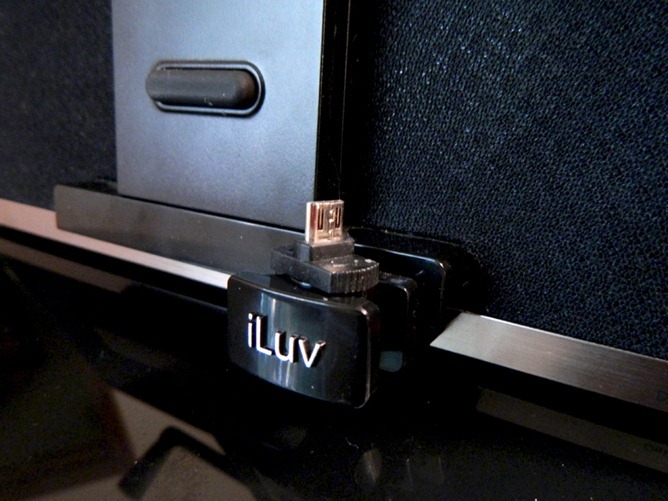 The iLuv iMM377, aside from being in desperate need of a catchier name, aims to fill the void in my life. 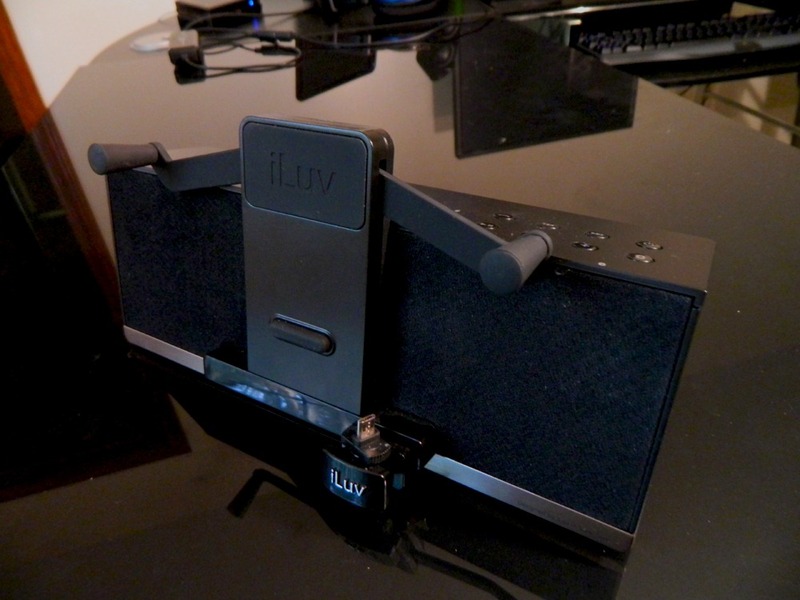 The Bluetooth speaker dock, which supports a wide variety of smartphones, features an adjustable micro-USB port, as well as sliding bracers to keep your phone steady. No matter what size device you have, or where the plug is placed, the iLuv speaker dock should be able to hold on to it just fine. You can also connect via Bluetooth to the speakers to play your music. 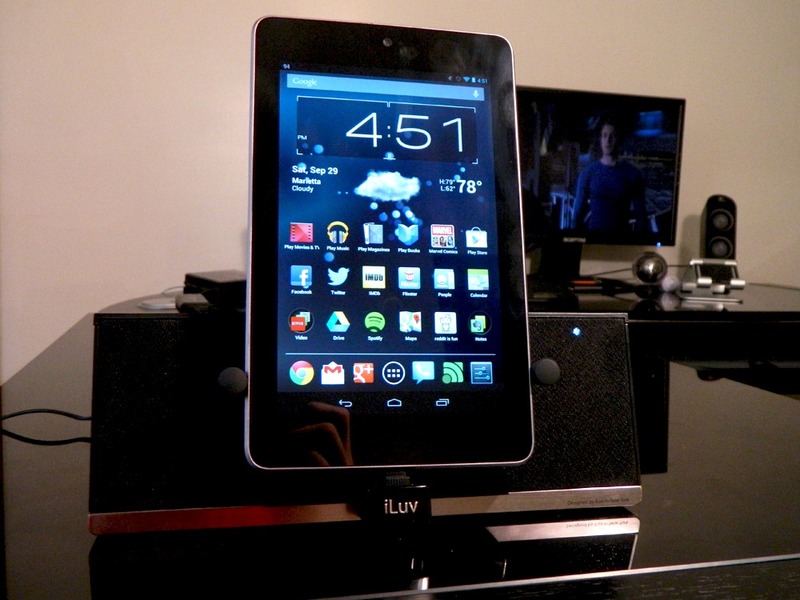 The MobiAir is available straight from iLuv for $119, or you can get it on Amazon for $69. So, how does it fare? At first glance, the dock is very nice-looking. 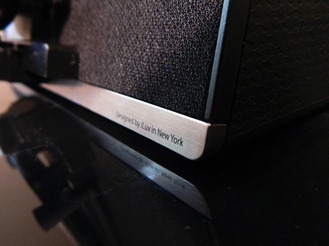 The textured black plastic and faux-brushed metal trim give it a very classy appearance. Eight buttons and a microphone dot the top, right-hand side of the speaker. Then there is the adjustable USB plug itself. 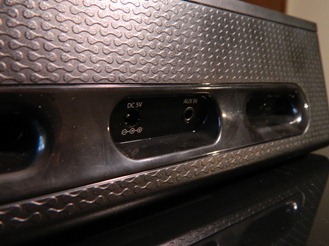 There are three primary moving parts: a slider that holds the USB plug that can move left and right to accommodate non-centered port positions. The plug also rotates 360 degrees, so no matter what orientation your plug is on your phone, it will still fit. Finally, there are two independent arms that lower to hold your phone firmly in place. The branded slider can move up and down to align with any USB position, and the port can rotate in 360 degrees so the plug is never in the wrong orientation. The system is brilliantly designed. While Android phones certainly don't have a one-size-fits-all thing going on, this dock can accept just about any device no matter where the micro USB port is placed or positioned. Obviously, if your phone uses a proprietary charging plug, you're out of luck, but who uses those anymore anyway? Get with the times! The one issue I have with the whole set up is how flimsy it feels. There is noticeable give while plugging the phone in. I've used the MobiAir daily for a couple of months now to allow plenty of time to ensure durability, and so far everything has held up, but the advantage of getting a universal dock is that it can still be used when you change devices. However, with two year contracts, and a flimsy piece of plastic that you have to press down on at its weakest point, I can help but wonder if it can last several years. Then again, it has surprised me so far, so maybe it's sturdier than it feels. While it is adaptable enough to fit a small tablet like the Nexus 7, though, I wouldn't tempt fate with it. Music playback is average at best. 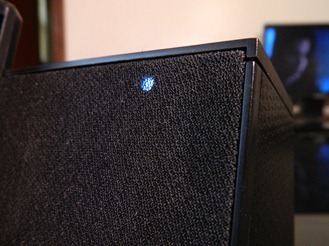 The MobiAir seems to have some trouble with bass, though higher tones are perfectly serviceable. At louder volumes, a slight but noticeable hiss becomes persistently present. It's not overwhelming, but it does dilute the quality of the audio. That being said, it's still likely far better than what you've got on your phone or tablet already. While higher volumes result in degradation, it will certainly fill a small room before you reach that point. Overall, sound quality is good enough, though it's not quite what you might expect from a speaker with an MSRP of over $100. You will probably not want to use this thing to make phone calls if you want to be able to move around a room. While call quality isn't that bad, I was barely able to get more than a couple feet away before the person on the other end of the line was unable to hear me. I was told there wasn't much echo going on, so I'm led to believe there's a decent amount of noise cancellation to ensure the giant speakers don't overwhelm the tiny microphone. However, in a situation such as a kitchen, this also makes it very difficult for the microphone to pick up on anything. If you intend to use this on a desk at work, you will probably have much more luck. Yes, you can do this. No, you should not. One of the most disappointing things about the MobiAir as a media unit is its inability to be controlled remotely. This isn't the biggest deal in the world, as it works just fine as a background music player, and as a desk stand or kitchen radio it's not likely to be far out of reach. However, you can't escape the feeling that you're tethered. Adjusting volume, changing tracks, or even answering phone calls is inescapably distant, which is a stark contrast to the feeling our smartphones give us by being always at our side. It's also worth pointing out that the buttons on the top have a noticeable lag. Again, it's not a huge deal. Maybe a second or two between pressing a button and a response, but it does make the experience a bit less than natural. Also, because there is no indicator of volume control on the MobiAir itself, which has its own levels, it's impossible to know for sure if your presses are having an effect. Combined with the lag and it's clunky, uncomfortable, and it's very easy to overshoot the volume level you're looking for. 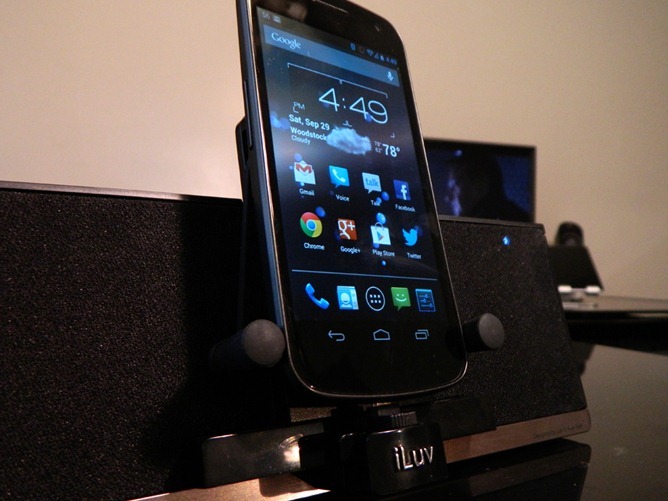 For $70, this dock is decent enough. As a universal stand for all of your gadgets, it's incomparable. Flimsy-feeling materials aside, I've never seen a dock with so versatile a range of devices it can hold. I've had an Epic 4G Touch, a Galaxy Note, a Galaxy Nexus and even a Nexus 7 fit just fine (though I don't recommend the latter due to weight problems). As a speaker, it's definitely better than what you've got in your phone right now. It's not going to please any audiophiles in the crowd, though. If you want to use this as a home stereo, you might be better suited elsewhere. If you want a nice little boom box to use around the house or in the office, though, it'll do the job. Overall, it's worth the $70 price tag if you're looking for a dock you won't to have to replace when you change devices.